Cranberry sauce - yes or no?!? 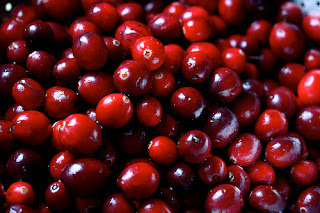 I feel like cranberry sauce seems to be a staple at every thanksgiving meal. Do you love cranberry sauce, is it an integral part to your meal? 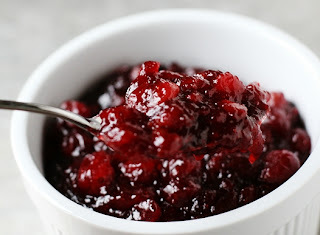 I must admit, that for probably 22 years, I never even tried cranberry sauce. My grandma would make it every year, and I would devour the rest of her scrumptious meal, but never would I go near the sauce! Two years ago, when I made my own full thanksgiving dinner at my new apartment for my family, I knew I had to make the cranberry sauce. With no real recipe to go off of, I sort of just experimented with flavour and spices I liked to see if I could come up with a great product....and I did! I now adore cranberry sauce and think it is necessary to go side by side that beautiful bird. 1. Place all of the ingredients in a pot, bring to a boil. Once boiling, reduce heat to a simmer and let cook for about 30 minutes, until you have a jammy sauce like consistency. 2. Check seasoning, and thin out with a little water if need be.